During the 2015 federal election, the province elected 14 NDP Members of Parliament, second only to Quebec. The B.C. Caucus meets weekly to discuss federal issues important to British Columbians in order to better represent these issues in the House of Commons. Past Chairs include Sheila Malcolmson, who was recently elected as a provincial M-L-A for Nanaimo, and Kennedy Stewart, who was elected Mayor of Vancouver last fall. “It is a privilege to be following in their footsteps,” said MP Stetski. 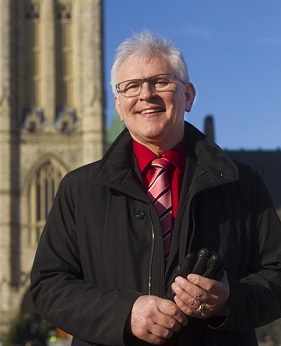 He is also Vice-Chair of Parliament’s Standing Committee on Environment and Sustainable Development, Founder and Co-Chair of the All Party Cycling Caucus, and Vice-Chair of the Canada–Philippines Parliamentary Friendship Group.